During this time every year, the sports world's focus is entirely zoned in on the "March Madness" of the NCAA's college basketball tournament. But under all of the hoops hype, hides the playoff race of the NBA. Uncharacteristically, this year's playoff picture has actually been somewhat unpredictable. If the regular season ended today, we'd get to see a few teams that have taken the league by surprise as of late. Three teams, the Oklahoma City Thunder, Milwaukee Bucks, and Charlotte Bobcats were all picked to finish higher than 20th in the league according to CBSsports.com. One team, the Charlotte Bobcats, would be making the playoffs for the first time in franchise history. As for Milwaukee and Oklahoma, the Bucks haven't made the playoff's since '06 and the Thunder haven't been since the 2004-05 season, back when they were still the Supersonics in Seattle. Regardless of recent history, nobody really saw either of these three teams having any part of the playoff pie. In addition to those three whose future is their own hands, the Memphis Grizzlies are only 3 games out of the final spot in the West which would be their first appearance in the playoffs since 2004 as well. Most people didn't count the Toronto Raptors to be in the hunt either, and they hold the 8th and final slot in the East with only a 2 game lead over Chicago. Yes, everyone expected the Cav's, Lakers, Nuggets, and Magic to be topping the charts. And yes, in the end, experience most likely will prevail in the first round matchups. Nonetheless, who doesn't root for the underdog? I mean we see upsets in the NCAA tournament every year but we still crave for them. How often does an 8 seed defeat a 1 seed in the NBA? What's even better is that team's who weren't picked to grab a last seed are holding playoff spots in the middle of the conference. But just because these teams are young and inexperienced, doesn't mean they can't contend. I said a while ago that I think the Bobcats will advance past the first round. Kevin Durant is emerging as a star, and Russell Westbrook is evolving into one of the better point guards in the league. They've won a lot of games in the competitive West, and don't seem to be phased by any of the pressure. You want to be playing your best ball at the end of the season, and the Bucks are like 15-2 since trading for John Salmons at the deadline. PG Brandon Jennings is a rookie-of-year favorite, and Center Andrew Bogut has finally had his breakout season since being picked first overall in the 2005 NBA draft. 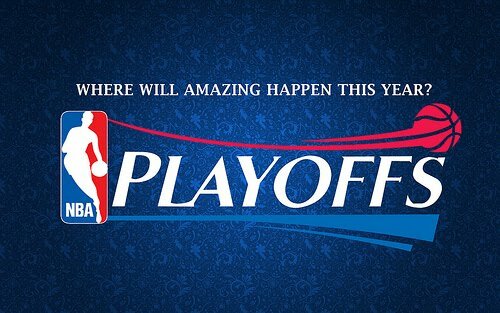 Maybe I'm buying into the hype, but this year's playoffs are shaping up nicer than usual. At least we won't see 4 teams with losing records fighting for the scraps of the Eastern Conference. These "eh" teams might not actually be that bad after all.